At first glance, Nagios open source software seems considerably less expensive than PRTG. After all, why should you pay for something that you can get for free? When it comes to software that must be customized to meet the specific needs of a company, its purchase price is only one small factor in its overall cost. With Nagios, already the initial setup takes entirely too much time. What’s more, its free version can only be installed via Linux/Unix. All devices and checkpoints must be added using shell commands. It is not uncommon for setup to take several days, even for seasoned Linux users. And if you need to customize your Nagios configuration later, you can count on spending an enormous amount of time and effort to get it done. PRTG is configured in a few quick clicks. 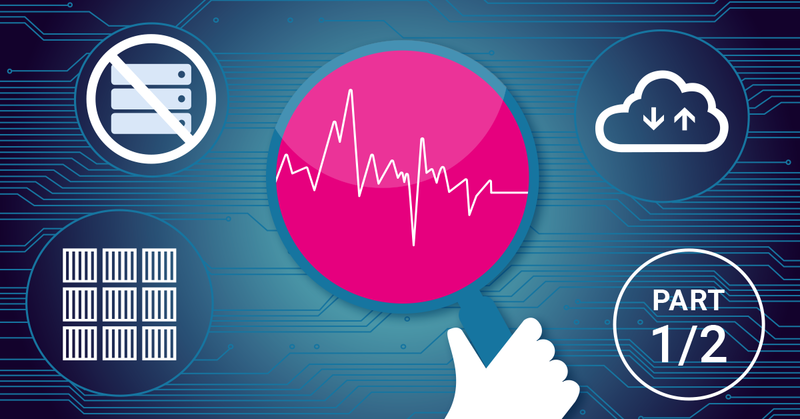 Its Auto Discovery function detects all the devices and services in your network automatically and creates potential checkpoints as so-called sensors. Adding, processing, and deleting sensors is straightforward and extremely intuitive thanks to an easy-to-understand graphic user interface. 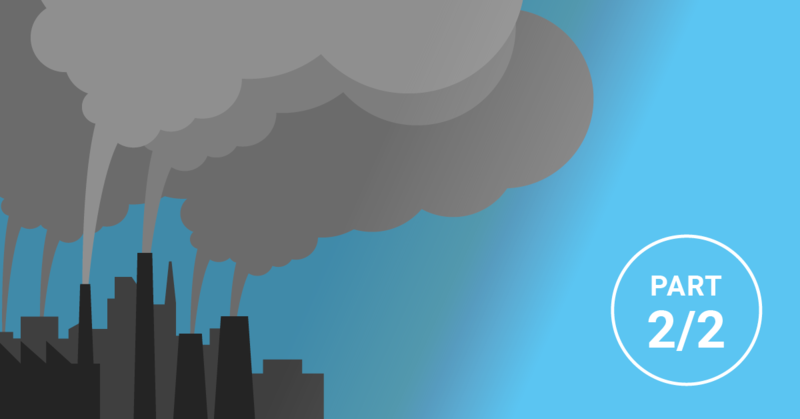 The time and energy spent configuring Nagios can quickly cause operational costs to go through the roof. At the end of the day, that which seems to be a free open source tool is no longer so inexpensive. Nagios can be effective in controlling small networks, and yes, the very basic version "Nagios Core" is available for free. But it gets complicated when you need to manage larger environments. In order to set up Nagios correctly, you would need a lot of time and effort before reaching a professional standard, either by changing the code or by using additional hardware to scale the solution. Professional technical support is not included and those who do not want to suffer should get Nagios-XI-Standard right away. In this version, a maximum of 100 hosts and 5 support tickets are included - for 1,995 USD. With PRTG Network Monitor you won't waste countless hours reading forums and editing configuration files. After installing PRTG in just a few seconds, Smart Setup will guide you through the set up and configure your core server and your tool for essential monitoring. You can also use the auto-discovery tool to automatically create a sophisticated and concise set of sensors for your complete network. With PRTG, everything you need is contained in one simple installer, no additional downloads for specific features are required. Even the database is included - in contrast to almost all other monitoring solutions. If you are using Nagios and you need to add a new device, you may require installing additional and external plugins, which is time consuming and may require special skills. We would not put it as hard as Jonah Kowall does in his blog article: "Got Nagios? Get rid of it." And: "the level of usability and sophistication of the product (Nagios) is pretty much zero." But we, too, think that the Web GUI is not really good and not intuitive at all. PRTG, on the other hand, uses a state of the art AJAX web interface and offers other user interfaces for older browsers and specialized interfaces for mobile devices. If you currently work with Nagios and wish to switch to PRTG Network Monitor, you’ll have no trouble doing so. Even larger network environments are usually configured in PRTG within a few short hours. Thanks to the PRTG Auto Discovery feature, you can quickly incorporate your entire network, any device and server into your monitoring. 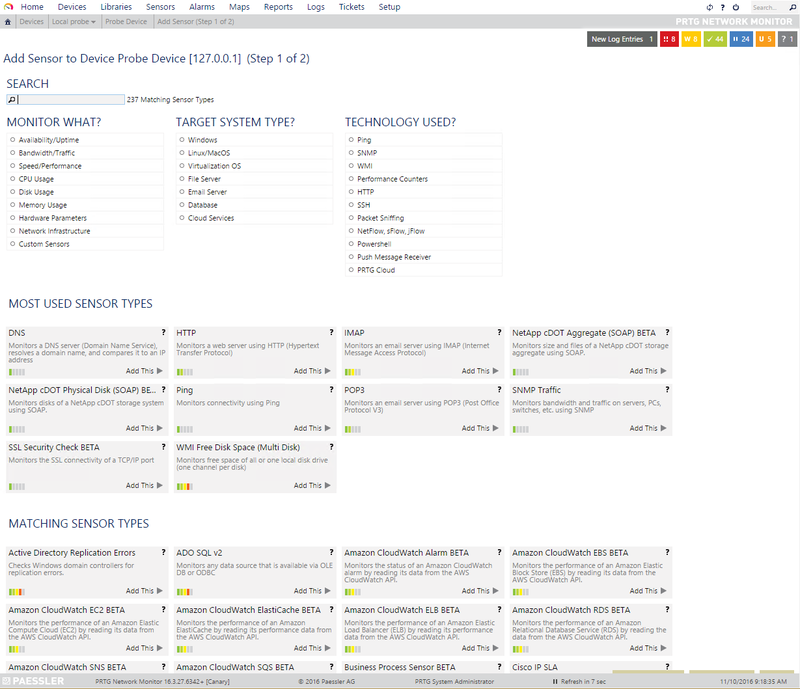 Device templates are extremely useful for configuring several devices at the same time. When settings are used once, they are saved and can be automatically applied to other devices. As a result, a few clicks suffice to configure an entire IT environment. System administrators must dedicate a great deal of time to the maintenance of their IT infrastructures, for these infrastructures are the backbones of their companies. The time that is needed to set up and maintain the operation of open source software like Nagios, Zabbix, or Zenoss can therefore be used in a much more efficient manner. By purchasing a PRTG license, you’ll get unlimited technical support. If you have a problem or question, our technical support department will respond within one business day. You'll be offered a monitoring solution that addresses your own particular case, and can therefore forgo having to spend hours browsing through online forums. With PRTG, you’ll save both time and worry! PRTG is also extremely easy to use once it has been set up. Even coworkers who were not involved in the setup process have no trouble getting the hang of the tool and the monitored network environment. It can take days or weeks to get used to Nagios and customize the open source software to meet the specific demands of your company and network. Furthermore, once it is ready, other workers usually have a hard time understanding how to use it. More often than not, the person who has set up and configured Nagios is the only one in the firm who is able to use the full features and add-ons of the program. If this person gets sick or leaves the company, then others must be trained to grasp the various components and exact configuration of the software. This training costs the company a great deal of precious time and resources, which IT experts could be putting to much better use. 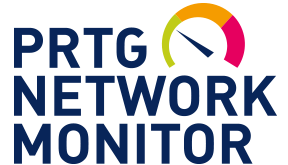 PRTG Network Monitor is extremely easy to use and configure, allowing you to quickly familiarize yourself with the program. Furthermore, your coworkers will have no trouble learning the ropes, even those with little or no technical expertise. PRTG features a variety of alert types: E-mail, Pager, Apps, running an external application, etc. You can specify when and how each person is to be informed about network issues. To do so, you can add contacts and edit, delete, or pause your notifications at any time. Many of our customers migrated from Nagios to PRTG because of the easiness and variability that PRTG offers. 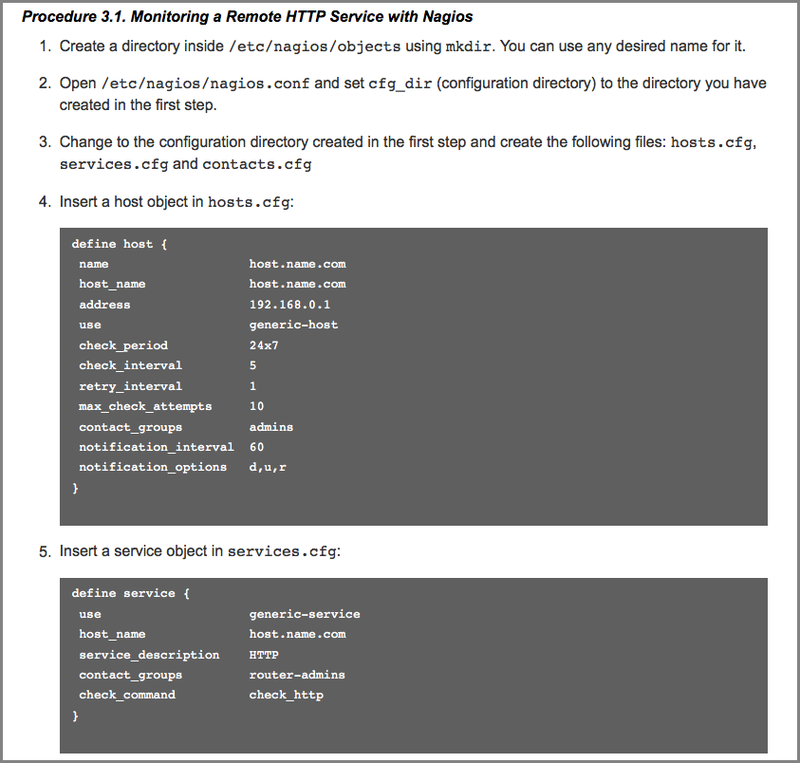 Read how Peak Internet or Netmass employs PRTG Network Monitor instead of the open source tool Nagios. Also read a complete comparative test PRTG Network Monitor vs Nagios in Funkschau (19/2013). You will find the above mentioned blog article "Got Nagios? Get rid of it." by Jonah Kowall of Gartner here.